Encounter the death and resurrection of Jesus of Nazareth in this culmination of the Jerusalem Chronicles. How could Jesus—who preached righteousness before God, and love and mercy toward neighbors—be so hated and pursued? To the Temple officials, he was a threat to the livelihood and authority of the priesthood. To Herod Antipas, he was a threat to his ambition to be the King of the Jews. And to the Roman overlords, he was seen as a dangerous threat; a man who commanded an army of the common people. He could heal wounds, offer miraculous provisions, and even raise from the dead. If Jesus had accepted popular acclaim and become an earthly king, he would have been unstoppable. Jesus’s last days are explored through three people who interacted with him: Governor Pilate, for whom Judea will either make or break his career; Pilate’s wife, Claudia, desperately seeking aid for her much loved, crippled son; and Centurion Marcus Longinus, caught in the middle between loyalty to the Empire, love for Claudia, and an ever-increasing belief in Jesus as the Son of God. After encountering Jesus, none of them will ever be the same. Great way to see scripture come to life. 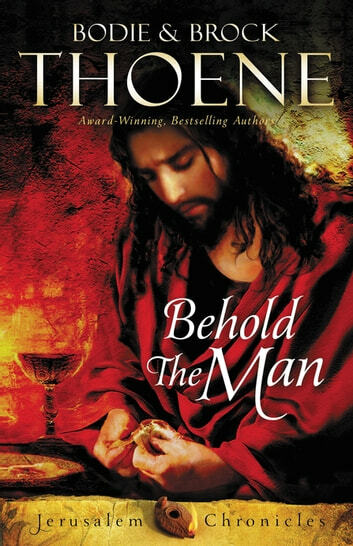 Look forward to reading the Thoene's other books!